Game recognize game. As unlikely as it might seem, veteran emcee Ice Cube studied architectural drafting before becoming one of the architects of West Coast Rap music. In this video clip from Pacific Standard Time, he extols the ephemeralization of LA-based mid-century modern designers Charles and Ray Eames. Hip-hop was created by making a lot out of a little, and the Eames were the masters of that. Cube also drops science on Los Angeles in general, including the modes and moods of its traffic. 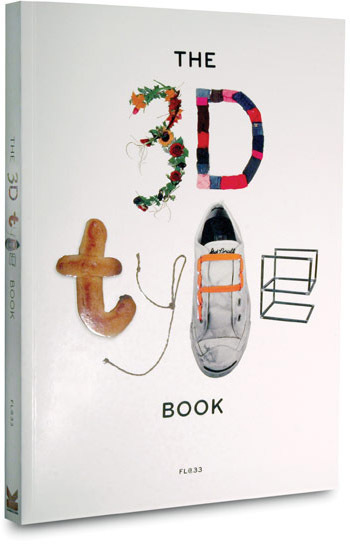 I’m happy to be part of the recently published 3D Type Book—the most comprehensive showcase of three-dimensional letterforms ever written—by Fl@33. Featuring over 1,300 images of more than 300 projects by more than 160 designers including Sagmeister, Vaughan Oliver, Milton Glaser, Italo Lupi, Hort and Non-Format. The variety of work is amazing, spanning decades and materials, from nails and balloons to human skin. 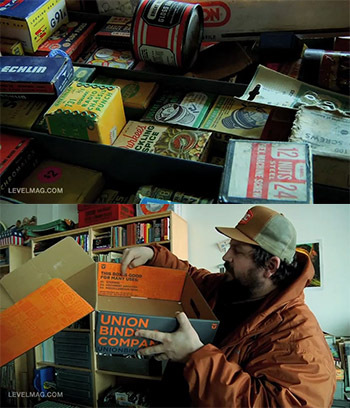 Aaron Draplin is an iconic fixture of Portland, Oregon’s busy graphic design scene. Having made a name for himself with stand-out work for snowboarding companies and their like, he’s now courting more mainstream clients. 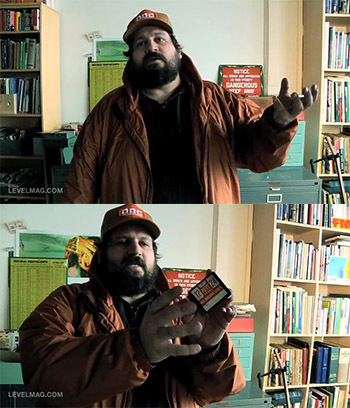 Draplin has a fetish for the greater design decisions of thirty-odd-plus years ago, especially the sort of stuff that enclosed a wingnut for your whatnot. It’s an influence that constantly shows in his work, and we don’t think you should be expecting that to change with his new paymasters. While on a mission to video-document the designer for snowboard website Yobeat, Jared Souney had a guided peak into the big man’s drawers of dirty delights for Level mag dot com. 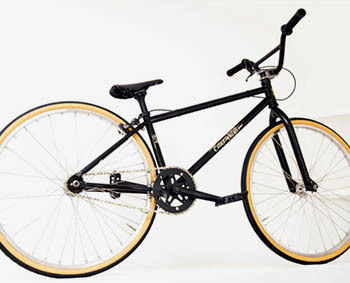 Emer is a BMX clothing brand that I remember from the 90s. I would occasionally see an Emer-clad Phil Dolan in his world-beating days or maybe spot the infamous Igo brothers sporting Emer during their reign of carnage. 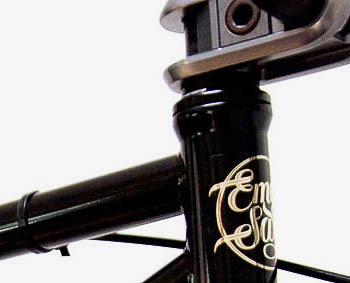 Turns out Level contributor—and man behind Emer—Johann Chan is firing up some new Emer products again. First there was the old Honda Insight, a car for every adventurous, early eco-nerd. Then came the Toyota Prius, a bland family hybrid that pro skaters used their newly-upped paycheques and trade-in money from their Honda Civics to buy. Next in the field of notable electrically-enhanced environmentally (less un-) friendly motors was that hotshot electric Tesla, priced beyond most people’s reach. And now, we’ve come full circle, back to a new Insight. Which looks like a Prius. A bit dull. How would you measure the success of a type designer? Through widespread coverage, the success of their typefaces, or the subjective quality of their work? Seb Lester’s answers to these illustrious career criteria would be the use of his custom Intel typeface on all of Intel’s branding and product ranges and his development of typefaces used by Barclays Bank, Dell, The Daily Telegraph, GQ, The New York Times, The Sunday Times and the upscale supermarket Waitrose, for starters. Lester’s Neo Sans and Soho Gothic are amongst some of the best selling modern typefaces, holding their own amongst classics such as Helvetica and Futura. 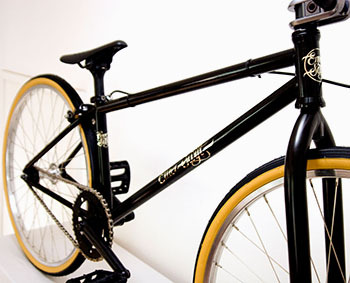 The use of his type is not only huge but continually expanding. You can’t turn around these days without seeing something extolling the virtues of “going green”. Everyone is doing it. With that in mind, a few entrepreneurs, cash-rich from selling some since-unheard-of software to megacorp x, are getting in on the game… small time. Coming from the open-sky, virtual world of unfathomable code and fantasy tech, some of these starry-eyed chaps are not straying from their ideals with their more solid ventures. They’re producing dream machines. 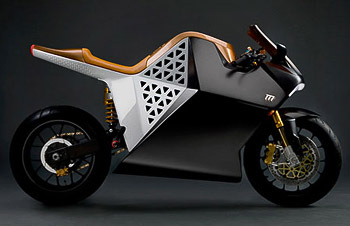 Like the much-publicized Tesla Roadster sports car, Mission Motors’ One motorbike is an electric vehicle to beat much of its gas-powered competition. 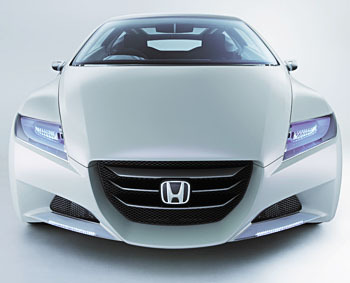 However, unlike the dull Tesla, it is stunning to look at, thanks to the product designers at fuseproject.